The best way to get to know us is to meet us. Below are the ways you can do so! In the meantime, feel free to give us a call (845) 356-1234 or send us an email (camp@thenatureplace.com). The best way to learn more about The Nature Place is by coming to an open house. We’ll take you on a tour of camp, give you a full picture of what we do and why we do it, and answer your questions about the ins and outs of camp. Interested in getting to know us closer to home? We attend camp fairs throughout Manhattan and Brooklyn from December through May of each year. Come meet us and say hello. We offer public programs year-round: from storytelling to campfires, maple sugaring to apple cider pressing. All free, all fun for the whole family. 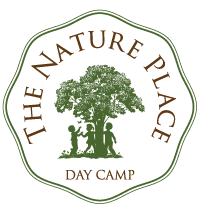 The Nature Place Day Camp is located on the grounds of the Green Meadow Waldorf School in Chestnut Ridge, New York. If you are going to use your GPS to find us, please put in 307 Hungry Hollow Road, Chestnut Ridge, NY 10977, this will bring you into the high school parking lot. Park your car and follow the signs up the path to the Arts Building. All Open Houses and Public Program (unless notated) are held at 307 Hungry Hollow Road. Please note: our winter address is just down the road at 285 Hungry Hollow Road. Coach USA (AKA Rockland Coaches or Red & Tan Lines): Call (201) 263-1254 or visit www.coachusa.com for up-to-date schedules and fares. On weekends, go to ticket windows 11-15 at Port Authority Bus Terminal to purchase tickets for bus #11A. The ride will take an hour and a half and bring you to the Spring Valley Bus Terminal, which is a 10-minute taxi/uber ride from Hungry Hollow Road. On weekdays, commuter buses run from Port Authority Bus Terminal to Spring Valley that make stops on Route 45 (Chestnut Ridge Road). Bus #45, which operates only on weekday mornings and afternoons, will take around an hour to drop you off at the top of Hungry Hollow Road (this is a request stop; you must speak to the driver to be let off at Hungry Hollow). Return buses to Port Authority leave from the bus stop outside the Hungry Hollow Co-op, where there is a posted schedule. When the bus approaches, you must stand out on the curb and make yourself visible. Metro North trains run all day, seven days a week to Tarrytown, NY, which is twenty minutes by taxi/uber across the Hudson River from Chestnut Ridge. Trains leave from Grand Central Terminal and the trip takes 40 to 50 minutes, faster with express trains. For taxi service from Tarrytown, try Tarrytown Taxi Service: 914-631-8700 ($45 plus toll to Chestnut Ridge), Annie’s Taxi: 914-333-0434 or Rockland Taxi: 845-356-3322. New Jersey Transit runs the Pascack Valley line, which originates at Hoboken and terminates at Spring Valley. If coming from New York (Penn Station), you must transfer at Secaucus Junction. The trip takes 60-90 minutes depending on transfer times. Trains run seven days a week. We are proud to be accredited by the New York/New Jersey section of the American Camp Association.